We had a family weekend break to Centerparcs recently, which inevitably involved a fair bit of eating out. We prepared our own breakfasts and lunches in our cabin, but had a couple of evening meals out and one takeaway delivered to the cabin. I have to say, the Centerparcs team seem to have a very good handle on allergens, and although there’s inevitably a bit less choice, I always had confidence in what was served. Our Sunday night meal was spent at Bella Italia, after an epic day of crazy golf followed by many hours in the Tropical Swimming Paradise. Other than the meal seeming to take a while to come (we were absolutely starving! ), I was very impressed, so I looked up where our nearest one is. It turns out to be at Centertainment to the north east of Sheffield, with the cinema and bowling alley etc. I was also assured that the kitchen staff take good cross contamination precautions, such as separate prep equipment, and separate trays for the gluten free pizzas, which go on the top shelf of the pizza oven. I’ve just called the Centertainment branch and they offered the same assurances. For a starter, I went for the Burrata, which is a very creamy version of fresh mozzarella cheese, served with some sun dried tomatoes and an artichoke and red pepper dip. Very nice. My main course was a pizza. I chose the Tonno Puttanesca, which included tuna, olives, capers, garlic, red onion, red peppers & chilli on a fiery* tomato base. The menu doesn’t mention mozzarella as a topping, so I asked for that as an extra. I have to say, I was super impressed with the pizza – the base was possibly the best I’ve had. It was a generous size and there were plenty of toppings. 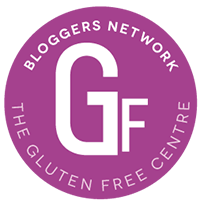 It seemed very much like the real (gluteny) deal – I loved it! We were far too stuffed for desserts, but there’s a choice of pannacotta, ice cream and sorbet – we went back to the cabin for wine and board games instead, once the kids were in bed. I also liked the rather cheery ceiling lights, although they might just be at Centerparcs. All in all, a very successful and surprisingly good meal. Next stop, Coeliac UK accreditation..? Tags: eating out gluten free, Gluten free chain, gluten free Italian, gluten free menu, gluten free pizza, Gluten free Sheffield. Bookmark the permalink.